It turns out, you can actually run away and join the circus. The old run-away cliché may have been a childhood dream, but few have been brave enough to actually do it. Laurence Estève is one such brave French woman. It was a journey that started in the Caribbean when Lauren and future husband Brent van Rensburg met. They returned to South Africa, where Brent was born and decided to invest their skills here. The country was changing. Nelson Mandela was released, and there was a reason to ride the wave of optimism at the time. It seemed like the perfect opportunity to start a new adventure and pursue their passion for the circus and transform lives through movement. Laurence’s and Brent’s list of achievements is mind-boggling. She was knighted of the Ordre National du Merit (of the national order of Merit) by the President of France Nicolas Sarkozy in 2012 for her contribution to social development and has behind her a stellar career in teaching, windsurfing and snow skiing. In South Africa in the 90s she performed as part of a trapeze duet for 600 shows in Sun City. Brent held the world record for the highest-flying trapeze in 1997, a feat he performed for an advert. His love for the circus started in his early teens, and for 15 years he travelled the world performing, including Italy, Denmark, Norway, France, England, Monte Carlo and the United States, learning six languages – and managing to fit in an engineering degree too. 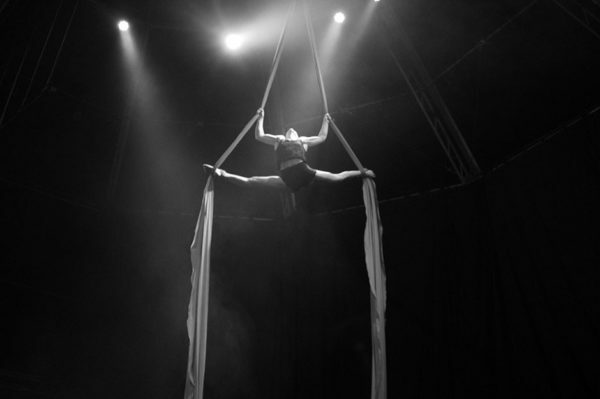 The Zip Zap Circus is a place of transformation and healing, using humour, outrageous stunts and artistry to touch audiences and change the lives of the young performers in the process. Many of them come from trouble backgrounds. For most, their journey with the circus started when they were at a crossroads in their lives. “If I wasn’t in the circus I’d be on the streets. I’ve always been a naughty guy. Now I can misbehave on stage and make people laugh,” says Jacobus, the mischievous ringmaster. Jason started with the circus when he was 8, and then left. The strong sense of family drew him back to Zip Zap. He enthralls crowds with his tumbles, jumps and juggling. The performers train six or seven days a week from 10am – 5.30pm and their training is both practical and theoretical. On weekends they devote time to teach young children from diverse communities some of the skills needed to be a part of the circus. Many of them stay. The circus has helped nearly 2000 children since its start. “In 1992, we saw people were packing to leave the country. We thought, the circus always brought people together so why don’t we do what we know and contribute with the skills that we have. 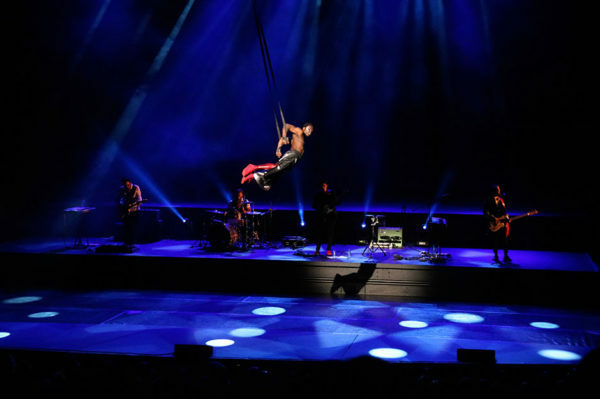 We started with a trapeze rig at what is now the waterfront,” Laurence says. 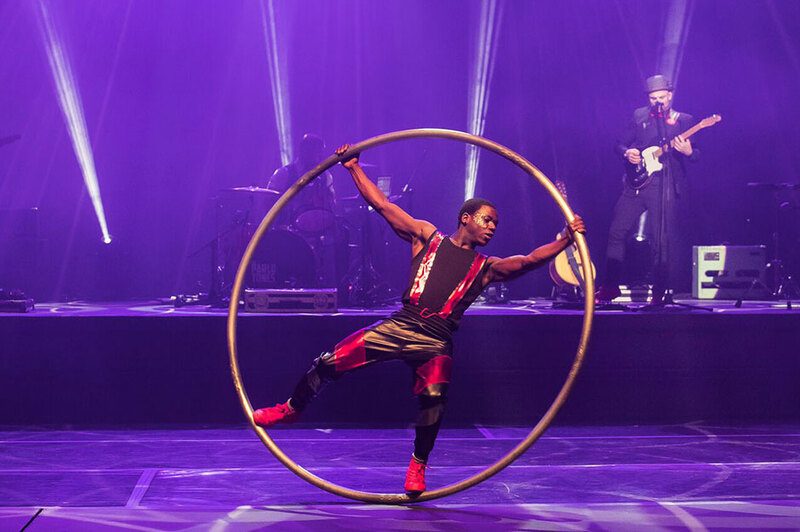 In 2017 Zip Zap Circus and the Cape Town Philharmonic Orchestra joined forces and in 2018, the new classical masterpieces Journey Beyond will bring the house down. Journey Beyond, starts today at Artscape Opera House and ends on Sunday. It is not to be missed. To book tickets click here. 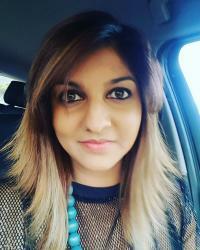 Nidha Narrandes is a food-obsessed travel addict with 19 years of journalism experience. She is happiest on a road to nowhere without a plan. A masterchef at home, she can't do without chilli - because chilli makes the world a tastier place.